A dental crown needs to be up to the task of protecting a tooth, while also absorbing the kind of pressures that tooth would normally take on when you bite and chew. Durability is crucial when it comes to any restorative dental work, but it can be especially valuable for a crown. If you are not able to practice your usual biting and chewing motions, it can cause several issues with your oral health. Your McKinney, TX dentist can provide you with a custom crown that is constructed to fully support your tooth. When Is It Necessary To Restore A Tooth With A Crown? A dental crown is not always necessary when you undergo restorative dental work. A dental filling, which only covers the portion of a tooth that is affected by damage or decay, can be effective when you have smaller problems. When a tooth needs more support than you can reliably enjoy from a filling, your dentist can modify the tooth, and have a crown placed over it. Crowns are used to restore damaged teeth, and teeth that are affected by serious cavities. When a crown’s presence might affect your smile, your dentist can talk with you about receiving one made that mimics your natural tooth structure. Porcelain and zirconia crowns have lifelike appearances, meaning they can fit in easily, and avoid changing your smile. For back teeth that are exposed to more pressure when you bite and chew, metal and porcelain-fused-to-metal crowns can be recommended. These material types offer more strength, so they can hold up against the stress applied when you bite down. 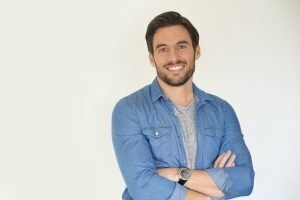 Is It Time For You To Have An Older Dental Crown Replaced? A dental crown can offer lasting support, but these restorations, like your teeth, are capable of being damaged. If an older crown feels loose or less stable when you bite, it may be time to replace it. You can make sure your restorations are in good shape by seeing your dentist for regular checkups. Crowns and fillings can be examined for possible problems that should be brought to your attention. Remember that your tooth depends on the support of a restoration – if the restoration is no longer providing enough support, you could experience real problems. At Illume Dental, patients who need to have work done can look forward to quality restorative care that can fully address their needs. The right crown can provide you with necessary functional support, and you can avoid frustrating changes with your appearance. To make an appointment to see Dr. Chen, call Illume Dental in McKinney, TX, today at (469) 301-1255. We proudly welcome patients from McKinney, TX, as well as Allen, Plano, Frisco, and all surrounding areas.